Yes! We did it again! We made you think we weren't working on anything but Emerald Heights, but, nooo, we were quite busy building and creating this neighborhood! This neighborhood is to be submitted as part of the current monthly theme of August - All about men! "How come? ", you wonder? Well, this small isolated town revolves around the lives of 4 single adult men, all on their own in this seemingly empty little town. There's not much to do here, and not much going on... Or is there something going on? "Not much is known about this small little town within the canyons of the formerly uninhabited Sedona Desert district. With only a small population, it's quite far and hidden from the rest of the nation, that no one knows much about it, or hears anything about, or from, the inhabitants, but perhaps that's the point?" "Are your sims shy? Loners? Perhaps even introverts? We're pretty sure they'd love to escape their rambunctious neighborhoods to a quiet place that barely has anyone, miles away from the rest of civilization. Which is why Sedona is the perfect home for them. It's not much really; just a gas station that fulfills anyone's basic needs, a bunch of empty houses, but we're sure it'll do!" The neighborhood uses the Sedona.sc4 terrain which is a EAxis made terrain, so you won't be needing to install a camera mod. 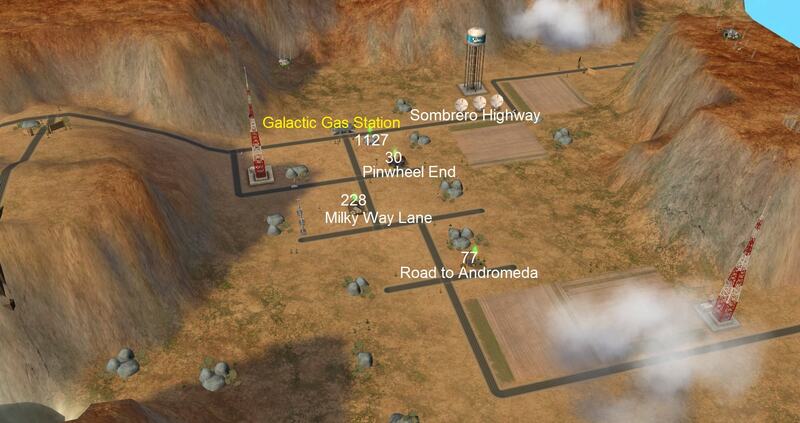 There is a total of six lots; four of which are residential, and two of which are community lots, one being the Galactic Gas Station and the other... well... let's just keep it a secret, shall we? Also, for those of you who don't know, Sedona was supposed to be a neighborhood that would ship with the BG, along with two other neighborhoods that never made it to the final cut. However, EA, and fortunately for us , left in something and that is the neighborhood flyby associated with this terrain! Yes! That's right! 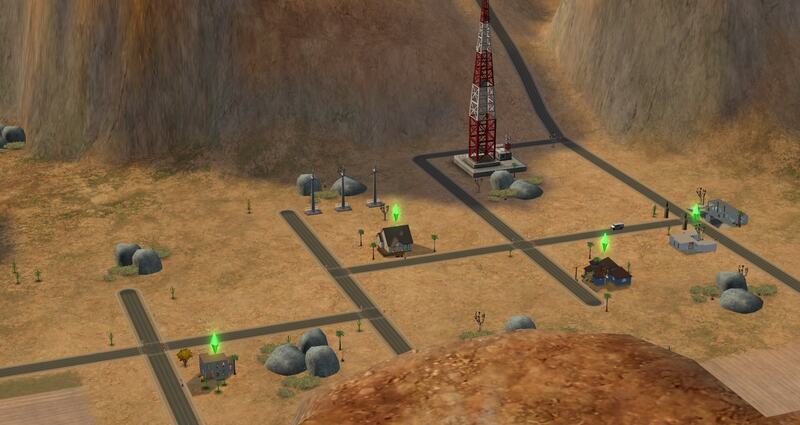 You get a flyby just like the pre-made neighborhoods! (Check out the video if you don't believe us!) Another reason why you should definitely get this neighborhood! This neighborhood has been created with Numenor's AnyGameStarter with no Maxis content, so there aren't any townies or any NPC. You have to generate them yourself if you want them. Sedona is base game compatible and doesn't have any CC in it. 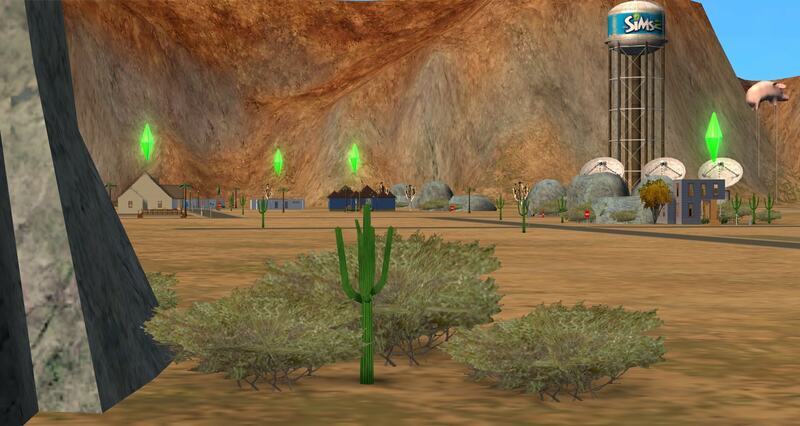 It is important to note that all custom alien pollinators of Sedona have been created in CAS, which means they are all playable and resurrectable sims and, unlike EA's default pollinator, safe to play. Also, to prevent any confusions, it is also worth mentioning that they aren't any real "pollinators", so they won't have any other offsprings than originally intended to be. The game will always choose EA's Pollination Technician as the pollinator instead and not any of our aliens. But the father NID of your sim's pregnancy can be changed to the one of the Sedona aliens' ID numbers if you want to use those "pollinators" instead of EA's default NPC "pollinator"
It can be done with mods such as SimBlender or InSimenator (Reproductive Adjustor). Alternatively, it can also be fixed in SimPE. 3. Select your neighborhood then click "Open"
4. In the â€œResource Treeâ€� scroll until you see the Neighborhood memory record, click it in the resource list, then from the Plugin View choose your family. 5. 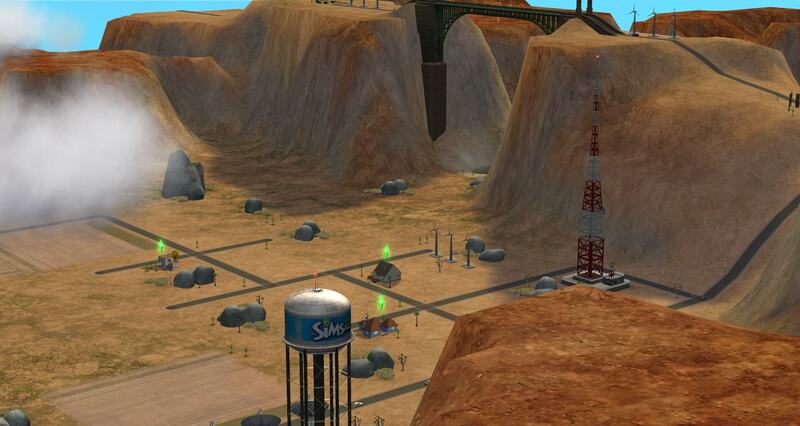 Select your abducted sim. 6. There, scroll until you see "Controller - Pregnancy"
7. Click on it and go to "RawData"
9. Commit your changes and save. However, if you don't have Pets or a later EP/SP installed, you can temporarily remove Bluewater Village (B001) from the NeighborhoodTemplate folder and move this subhood in there. 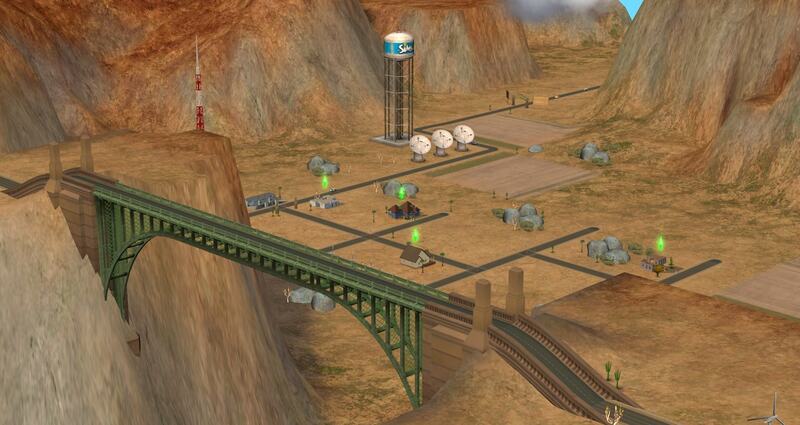 It will still be referred as Bluewater Village in the game. 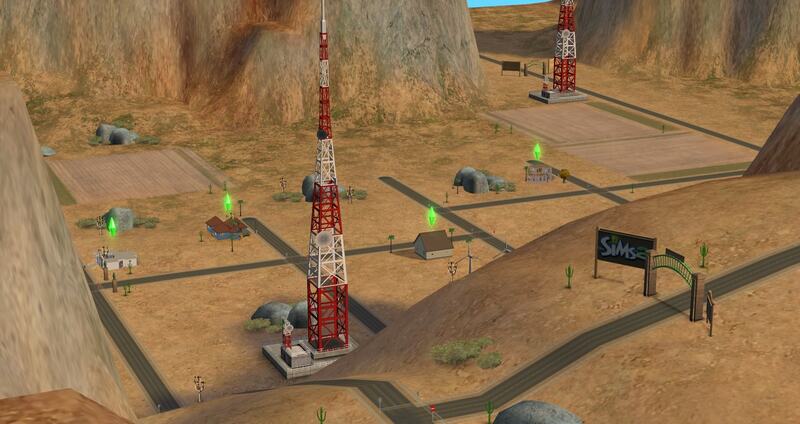 But the game will add Sedona to your neighborhood. Restore B001 after adding the subhood and you're done. Oh and feel free to post your stories in threads like 'What did you do with the Sedona characters?'. Stay tuned for more (secret) neighborhoods to come! Mootilda for her Lot Compressor which we used to compress all of the lots and for her helpful HoodChecker HoodChecker (to see whether there are any problems or not). Jawusa's sister for taking the Storytelling pictures and playtesting Sedona. 270 people have said thanks to Hood Building Group for this download.